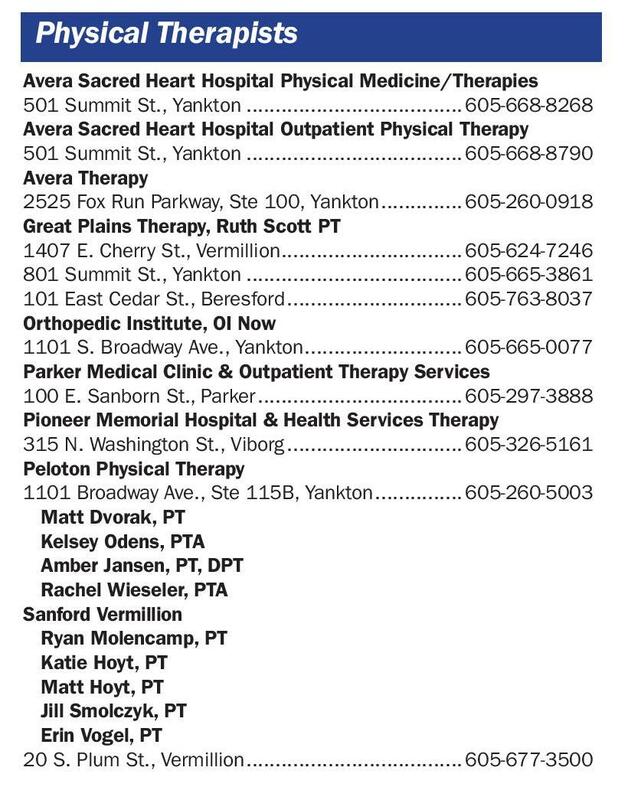 Occupational Therapists Sanford Vermillion Anderson, Angela, OTR/L Dangler, Lisa, OTR/L Hertz, Amy, OTR/L 20 S. Plum St., Vermillion...................................... 605-677-3500 Optometrists, O.D. 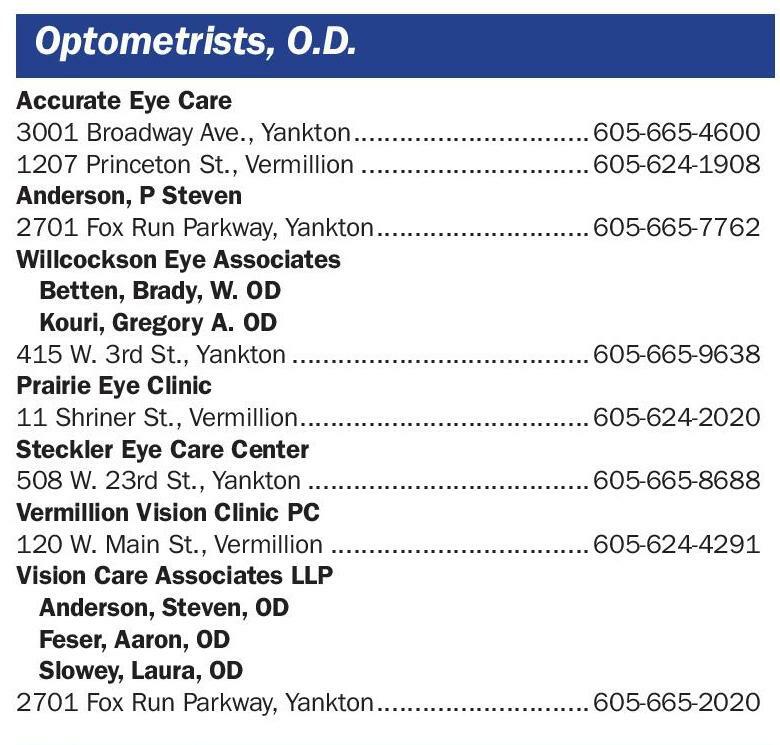 Accurate Eye Care 3001 Broadway Ave., Yankton................................ 605-665-4600 1207 Princeton St., Vermillion............................... 605-624-1908 Anderson, P Steven 2701 Fox Run Parkway, Yankton............................. 605-665-7762 Willcockson Eye Associates Betten, Brady, W. OD Kouri, Gregory A. OD 415 W. 3rd St., Yankton........................................ 605-665-9638 Prairie Eye Clinic 11 Shriner St., Vermillion....................................... 605-624-2020 Steckler Eye Care Center 508 W. 23rd St., Yankton...................................... 605-665-8688 Vermillion Vision Clinic PC 120 W. Main St., Vermillion................................... 605-624-4291 Vision Care Associates LLP Anderson, Steven, OD Feser, Aaron, OD Slowey, Laura, OD 2701 Fox Run Parkway, Yankton............................. 605-665-2020 Pharmacies Bon Homme Pharmacy 410 W. 16th Ave., Tyndall...................................... 605-589-4418 Centerville Community Pharmacy 512 Broadway St., Centerville................................ 605-563-2243 Davis Pharmacy 5 W. Cherry, St., Vermillion..................................... 605-624-4444 Heritage Pharmacy 609 S. US Hwy. 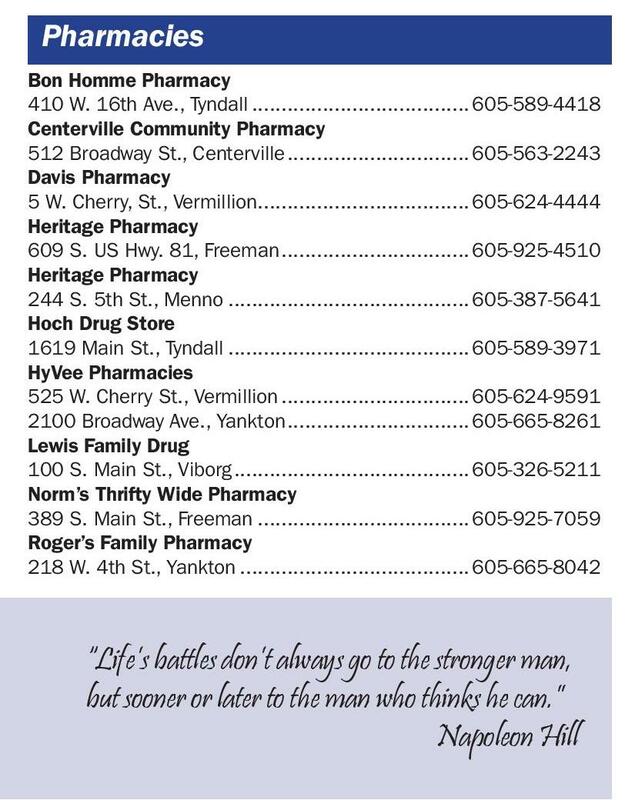 81, Freeman................................. 605-925-4510 Heritage Pharmacy 244 S. 5th St., Menno.......................................... 605-387-5641 Hoch Drug Store 1619 Main St., Tyndall.......................................... 605-589-3971 HyVee Pharmacies 525 W. Cherry St., Vermillion................................. 605-624-9591 2100 Broadway Ave., Yankton................................ 605-665-8261 Lewis Family Drug 100 S. Main St., Viborg......................................... 605-326-5211 Norm’s Thrifty Wide Pharmacy 389 S. Main St., Freeman..................................... 605-925-7059 Roger’s Family Pharmacy 218 W. 4th St., Yankton........................................ 605-665-8042 “Life’s battles don’t always go to the stronger man, but sooner or later to the man who thinks he can.” Napoleon Hill 10vYankton and Vermillion Area Health & Medical Directory 2017-2018 Pharmacies Walgreens Pharmacies 2020 Broadway Ave., Yankton................................ 605-665-1124 Walmart SuperCenter Pharmacy 2407 Broadway Ave., Yankton................................ 605-665-8197 1207 Princeton St., Vermillion............................... 605-624-4106 Yankton Medical Clinic Pharmacy 1104 W. 8th St., Yankton...................................... 605-665-2929 Yankton Rexall Drug Center 109 W. 3rd St., Yankton........................................ 605-665-7865 Physical Therapists Avera Sacred Heart Hospital Physical Medicine/Therapies 501 Summit St., Yankton...................................... 605-668-8268 Avera Sacred Heart Hospital Outpatient Physical Therapy 501 Summit St., Yankton...................................... 605-668-8790 Avera Therapy 2525 Fox Run Parkway, Ste 100, Yankton............... 605-260-0918 Great Plains Therapy, Ruth Scott PT 1407 E. Cherry St., Vermillion................................ 605-624-7246 801 Summit St., Yankton...................................... 605-665-3861 101 East Cedar St., Beresford............................... 605-763-8037 Orthopedic Institute, OI Now 1101 S. Broadway Ave., Yankton............................ 605-665-0077 Parker Medical Clinic & Outpatient Therapy Services 100 E. Sanborn St., Parker.................................... 605-297-3888 Pioneer Memorial Hospital & Health Services Therapy 315 N. Washington St., Viborg............................... 605-326-5161 Peloton Physical Therapy 1101 Broadway Ave., Ste 115B, Yankton................ 605-260-5003 Matt Dvorak, PT Kelsey Odens, PTA Amber Jansen, PT, DPT Rachel Wieseler, PTA Sanford Vermillion Ryan Molencamp, PT Katie Hoyt, PT Matt Hoyt, PT Jill Smolczyk, PT Erin Vogel, PT 20 S. Plum St., Vermillion...................................... 605-677-3500 ? 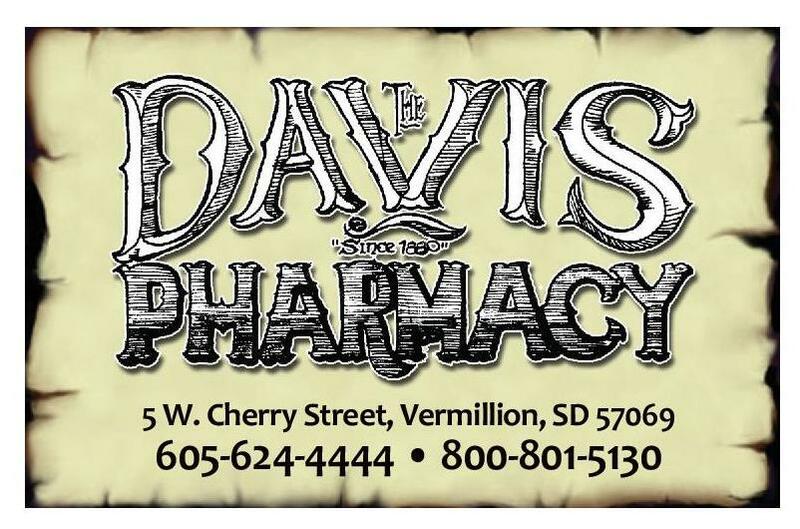 3 3?36?????3??????3????????373????? ? 3 ???????????3?3??????????? ?